Can you say that? Eyjafjallajokull is the name of the volcano that erupted in Iceland a few days ago. If you're watching or reading the news, you know that this volcano has caused and still is causing problems upon problems. Millions of dollars have been lost so far because of delayed and canceled flights in and out of Europe. People are stranded at the airports and patience is running dry already. Life for those stranded is at a standstill until flights go back to normal. Eyjafjallajokull eruption reminds me a lot of Mt. 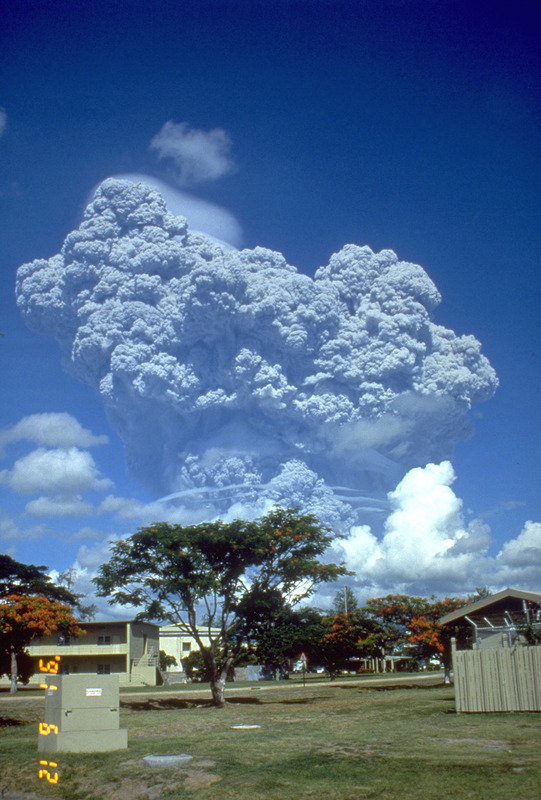 Pinatubo's eruption in June 1991. I remember vividly where I was and what I was doing when that happened. Makati, gallivanting around with my co-teachers. We headed home as soon as it got dark at around 4 PM because of the ash falls. I didn't make it home right away because we were stranded. Drivers were caught by surprise with the sudden darkness that it caused multiple accidents one of which was an oil tanker. Oil spilled on the road causing traffic to totally stop. I made it home at around 4 AM the next day. When the news broke that it erupted, the husband and I were taking turns in trying to pronounce the volcano's name! Iceland is known to have a difficult language and weird names. Anyways, I hope Europe's air clears out soon. I do feel sorry for all the travellers stranded. it indeed is a hard name! grabe yung sa pinatubo before no? was your place affected ba? we lived in mindanao that time, and i was a second grader. i don't remember much, but one thing i won't forget: there were a lot of families who suddenly arrived in our place as immigrants. i learned that they were some of those pinatubo victims who tried to be relocated in bukidnon. Gee, I can never pronounce it!hahaha! kanda-bulol-bulol nako.. I was in Tondo, Manila at that time when Mt. Pinatubo erupted..And even there, it ashes reached us. Grabe talaga..
Yeah, kawawa talaga yung mga stranded. Hopefully ma-clear na at makauwi na sila..
air space is now cleared,which is good for the stranded travelers. I can never pronounce the name, at lalo na ang spelling. hope your week is going well. TC!